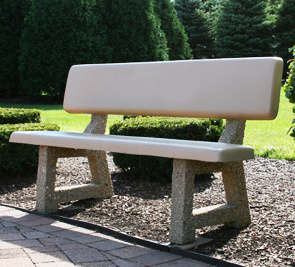 Durable aggregate frame with smooth finish concrete seats and back are one of the defining features of this contemporary style park bench. Suited for every environment this bench integrates within any park setting just as well as a 'Park Avenue' motif. 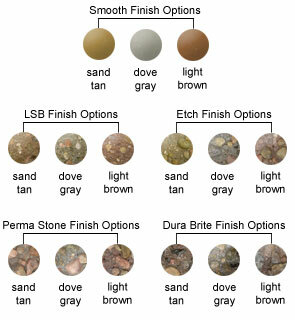 Several color and finish options are available as shown to fit almost any setting. Comfortably seats 2-3 people. Some assembly is required.